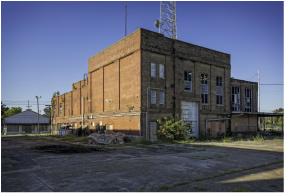 East Baton Rouge Redevelopment Authority is seeking developers to reinvent the former Entergy buildings and surrounding six acres at 1509 Government Street. The RDA issued a Request for Expressions of Interest asking developers to offer innovative ideas for returning the buildings to commerce. The RFEI asks developers, business owners and others for conceptual plans. “The redevelopment of this property has the potential to serve as a gateway linking to downtown, which is experiencing a renaissance of new investment, and Mid City, which is emerging as an economically vital commercial district focused on Government Street,” said John Fregonese of Fregonese Associates, which also created FutureBR, the parish’s comprehensive growth plan. The RDA is a quasi-public agency created by government to spark developments in projects that are seen as too risky by private capital. The RDA primes the pump that draws private capital to areas that have seen disinvestment. Pockets of Mid City on Government Street farther away from downtown are already slowly returning to life. Buildings have been repaired, restaurants opened, offices rehabbed, and a developer is building a mixed-use project on an entire block of Government Street near South Foster Drive. The state is investing $12 million to transform all of Government Street from four to three lanes flanked by bike lanes and sidewalks. The RDA wants to spread development to other parts of Government Street, and it has set the Entergy property on a fast schedule. Developers must submit proposals by April 28; the agency’s board is set to choose a team or teams this June. Construction is expected to begin in spring 2017. A predecessor to Entergy operated the city’s first power plant at the Government Street and South 15th Street site until 1940, then Entergy stored equipment there until 2011. The city’s trolley service operated from the buildings, and the train station was next door. Entergy donated the site to the RDA in 2014. The six acres on the north side of Government Street feature two prominent brick buildings, both of which are eligible for listing National Register of Historic Places. The site has been rezoned favorably this year for multi-story, mixed-use buildings.